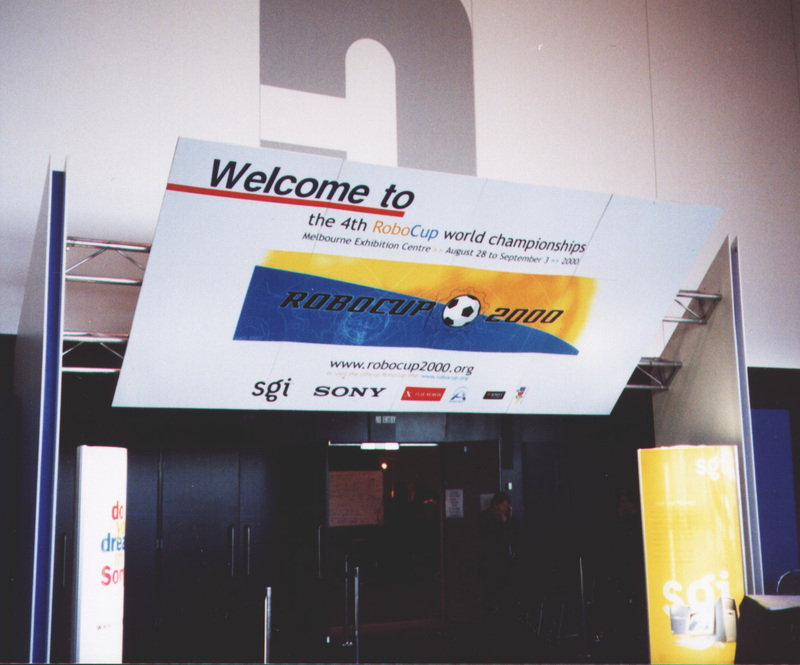 This page is dedicated to RoboCup 2000 sharing some of the photographs we recovered. Note I’ll add further detail here, just keen to publish the newly discovered photos. A group photo with our favorite team, GOLEM. The teams approach to strategy was impressive. Golem Team and the Parisi Brothers. A great deal of marketing material had to be produced for the event, this is one of the more common posters we used. One of the entry door displays at Jeff’s Shed. 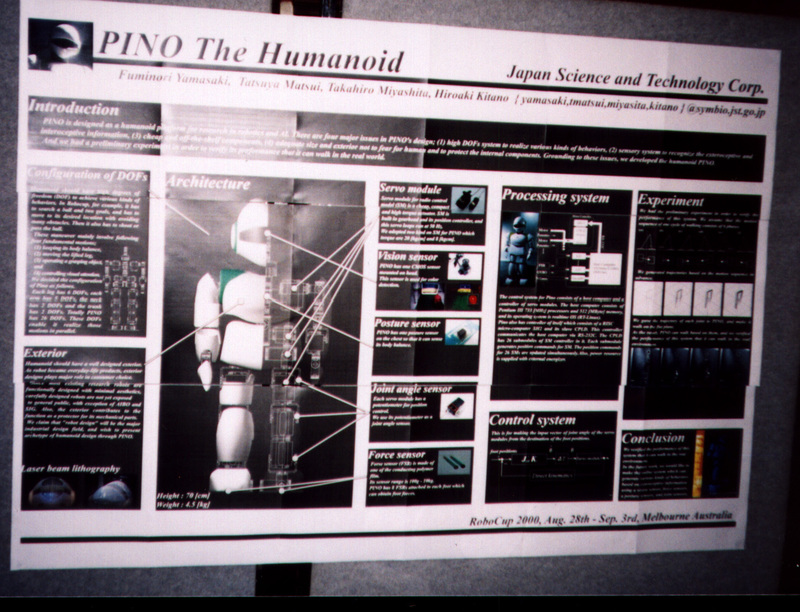 Spec sheet for the humanoid PINO robot. A team tuning their humanoid robot. 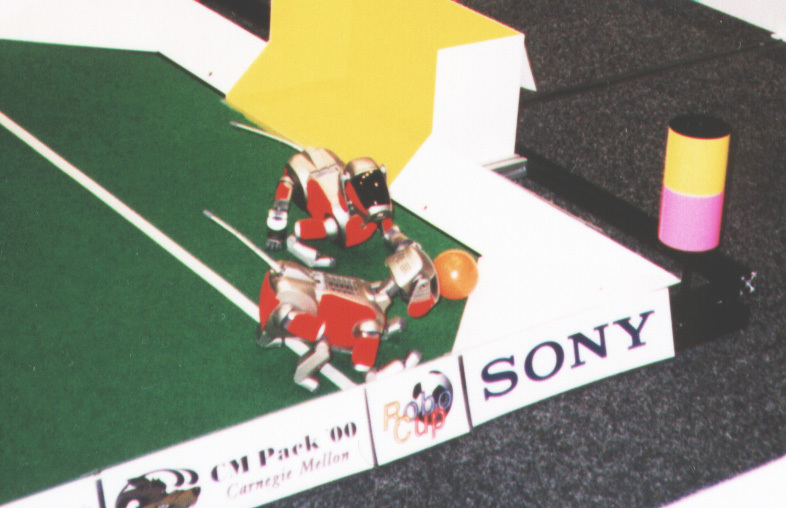 Note there are several focus areas for RoboCup 2000. The first is the event itself, securing the event to run in Australia was a massive achievement and then running such an event was an undertaking involved a great deal of planning and effort, preparation of the actual playing fields, seating, signage, software, custom networking, actual execution of the event, to marketing, coordinating with television, newspapers and radio, to fighting with government agencies / customs to allow intelligent robots from countries like Iran to pass into the country and managing a huge financial budget. For the organising team there was virtually no sleep during the event and I dare say the same was true of many of the teams. We had hundreds of scientists register to attend both the conference and robocup events, presenting papers and demonstrating their research through competition with their peers! A range of additional activities were also part of this including robot rescue demonstrations, robocup junior and display of the next generation of robots such as the PINO humanoid robot. We also managed some social events too. Unlike other fields of innovation Robotics has presented a particular challenge due to the need for skills that cross a range of disciplines. The “brain” of the robot requires knowledge of software design, neural networks, decision trees, fuzzy control systems, agent based reasoning, genetic algorithms and so on, however a brain is not enough. A robot requires a body which brings in disciplines of designing motion systems, vision systems, sensory systems and so on. These areas are typically not covered by “one” scientist working alone. 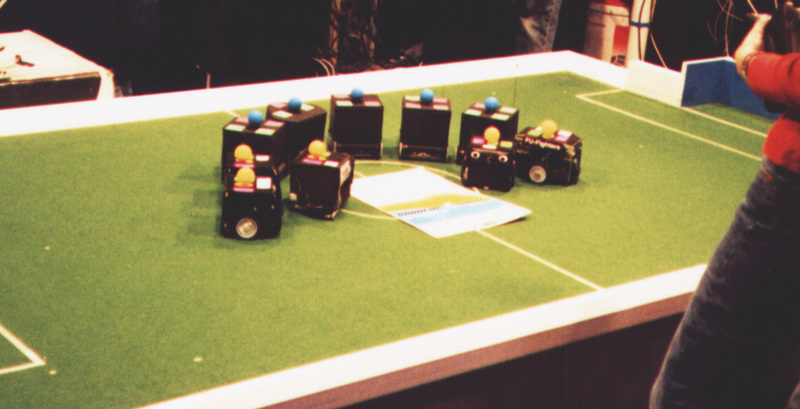 Similarly the level of capability required to build a robot capable of playing say against a human team in a real soccer game is not something that is developed in a year, or as part of a single research assignment. Ignoring private research, it is necessary to a) develop teams of scientists that cover multi-disciplines and b) build on research from previous teams in order to move towards that ultimate goal. 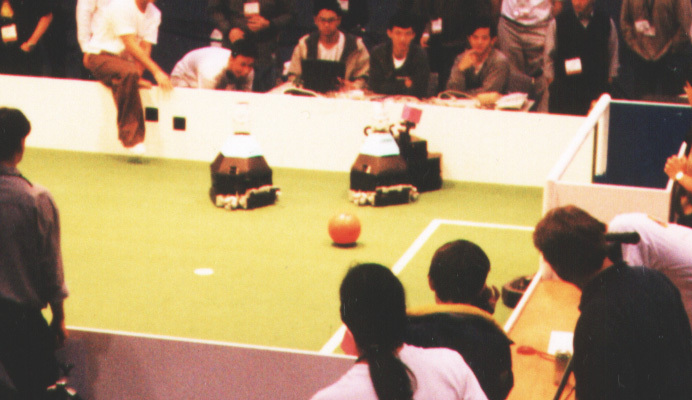 The RoboCup event is that opportunity to demonstrate and share findings so that the next years competition can build on and exceed the results of the last event. 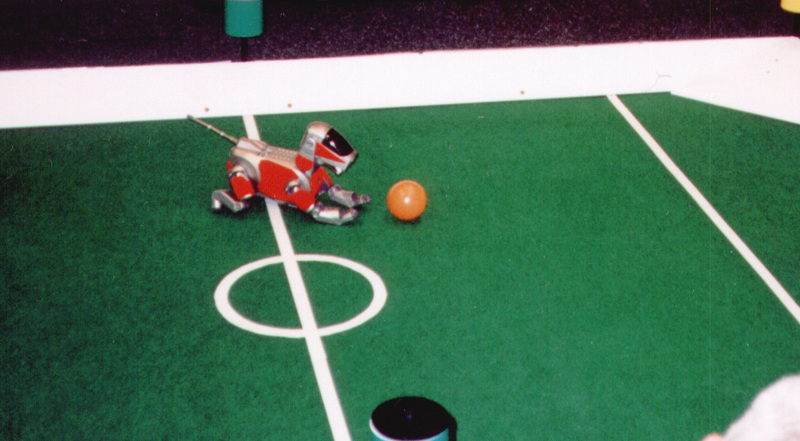 RoboCup 2000 was a step along that path. The event generated a great deal of media publicity, covering radio, newspaper and even television broadcasts. Internationally Australia was able to demonstrate leadership in Robotics / AI by hosting this event so well as well as spear heading initiatives such as RoboCup Junior which was designed to increase participation in multi-disciplinary design of intelligent systems which requires team cooperation skills to be something greater than a single mind can create. (An area which was not a strong focus in high schools at the time) Locally we started to see the initial spark of awareness that robotics and AI wasn’t just for science fiction but something tangible was occurring. 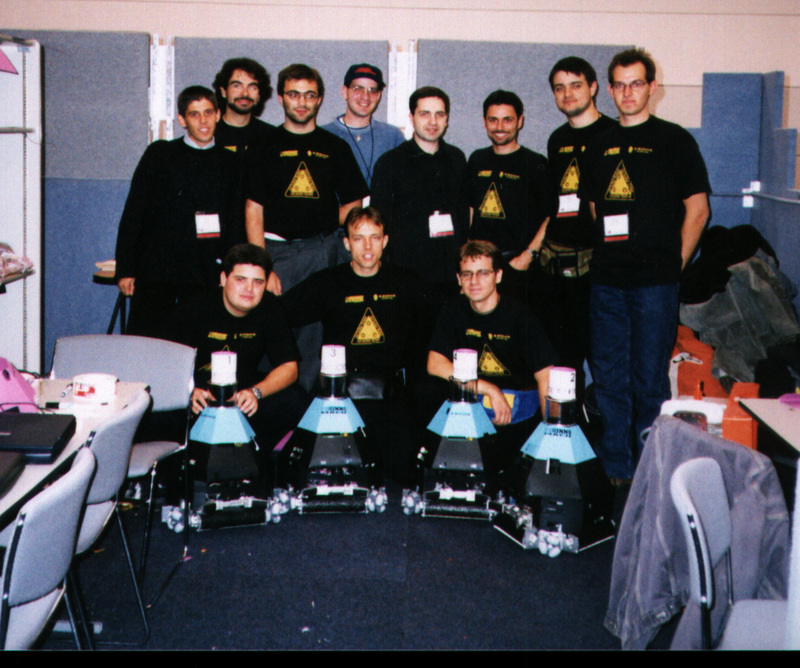 Excitingly RoboCup still continues today as an international event, and the RoboCup Federation is alive and well.